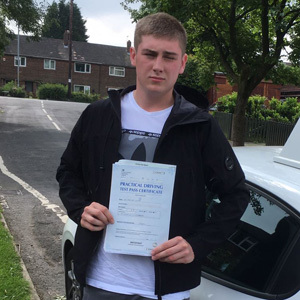 Learner drivers in the Oldham area have seen a bit of upheaval in the past few years, with the closure of test centres like Failsworth and Middleton. Fortunately, learners can head to Chadderton test centre. Located on Broadgate next to Madeleine Lindley and Intelligent Gaming Solutions, there's plenty to know about Chadderton. If you'd like to get to know your chosen centre better, read on for directions, pass rates, test routes and much more about Chadderton. Situated between the centre of Middleton and Moston, Chadderton test centre can be found just off Broadyway, next to the M60. Learners won't have a problem finding Chadderton test centre. If you haven't been there before, or you're looking into how far away it is, just follow these directions and you'll get there just fine. Please note that the centre does not provide parking spaces, so you'll have to park on one of the nearby roads instead. Every learner driver is always curious about test routes. Despite this high demand, you won’t be able to find Chadderton test routes anywhere. Why? The DVSA no longer publishes routes in a measure to prevent candidates from memorising them before their tests. Whilst you won't know the exact route you'll be taken on, odds are—if you've taken lessons with a local ADI—that you'll be familiar with most of the roads used. If you'd like to see which specific roads might show up on your route, take a look at videos of Chadderton test routes on YouTube. It’s one of the first questions learner drivers ask—what’s the pass rate? If this is the question on your mind too, you might want to head on over to our driving test pass rates. If you’d rather have a look at Chadderton test centre, you can see the pass rate for the last three years below—we don’t have anything further back because Chadderton only opened back up in 2016. While you might be concerned about the pass rates for Chadderton test centre, bear in mind that it’s all down to personal effort and how much you pay attention to your instructor. Want to avoid failing your test? Check out the top 5 reasons people failed their driving test in 2016/17. What If I Can't Go To Chadderton? While the Oldham area is lacking in alternate test centres, there’s plenty on offer in Greater Manchester. If you can’t head to Chadderton test centre, your nearest available alternative is Cheetham Hill. Once you get back to Chadderton test centre, the examiner will tell you if you’ve passed or failed. In either case, you'll be given a feedback sheet that will detail any driving test faults you made during your test. If successful, you’ll also get your very own test pass certificate and have your new licence sent off for. Failing your practical test isn’t the end of the world, fortunately. The important thing is to learn from your mistakes and move on—it’s just a small bump in the road! 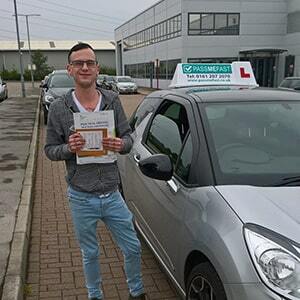 If you’re looking to get passed fast, why not get PassMeFast to book your test for you? We can fast-track your test and even offer you one of our refresher courses if you need to build your confidence back up. To get things started, contact us via our website or give us a quick ring on 0333 123 4949. 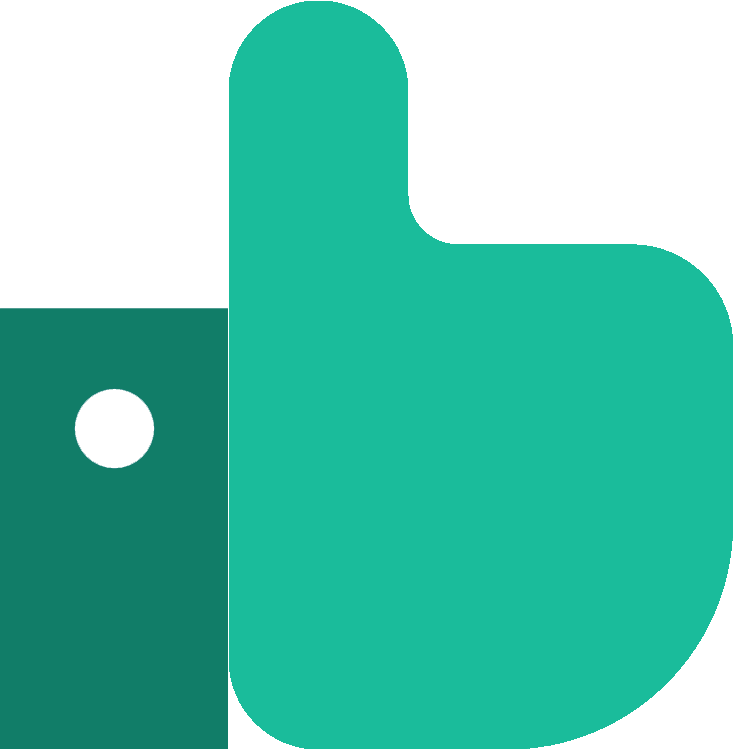 PassMeFast has ditched hourly lessons in favour of intensive courses. This allows learners to build up their knowledge quickly and efficiently with a grade A or B instructor. Worried about long driving test waiting times? That’s a thing of the past with our fast-track practical tests! The road to driving no longer has to be long. Simply look at our course prices to pick a package suited to you. Once you’re happy with your selection, book your course online or give us a ring on 0333 123 4949 to speak to a member of the PassMeFast team. Absolutely smashed it thanks so much!